Losing the same weight you’ve already lost before? That’s Yo Yo Dieting. Been there done that. We do what we do based upon the thoughts we think (conscious and subconscious) and the emotions we feel. Diets focus only on eating behavior, when the underlying thoughts and emotions are what really make or break success. I don’t like the word “diet” because it usually represents a very temporary behavior. We temporarily change eating behavior until we either reach or abandon a goal. But Yo Yo Dieting runs deeper than just the behavior. With repeated weight fluctuation over the years (and keeping several sizes of clothes in your closet to accommodate this), you set yourself up for perpetual dissatisfaction with yourself. Diets don’t work because they focus on the behavior instead of focusing on the root cause of the behavior: your thoughts and emotions. Your weight is always driven by what you think, believe and feel. In working through my own history with fluctuating weight, I’ve developed passion and expertise in counseling people who want to get to the root of old patterns with weight/food, and stop sabotaging themselves. I help people not only achieve and sustain their goal weight, but to feel better about themselves AT ANY WEIGHT. Diets don’t work when you can only be happy if you achieve a certain weight. This kind of thinking sets up conditions for self-satisfaction or self-love (i.e. happiness). You need to eliminate the conditions. We all need unconditional self-love. Love yourself first and the weight will drop off easily and stay off. Why? Your eating behavior will come from healthy, happy thoughts and feelings, leading to EASY healthy, happy eating behaviors! You gain power and the food loses the power it previously had over you. 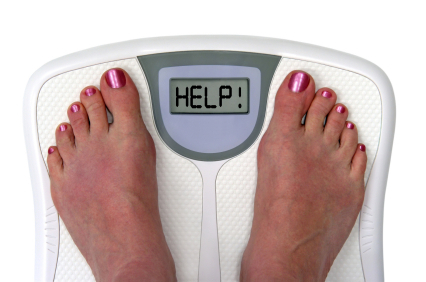 According to a recent study, women who had counseling to improve their body image lost a higher percent of weight than those who did not see a counselor. Yo Yo Dieters often tell me, “But I love food, that’s the problem.” Believe it or not, it is possible to love food AND maintain your ideal healthy weight. So if that’s not happening, it’s a sign that there’s another problem. Usually it’s a sign that underlying thoughts, beliefs and feelings (about self and about food) need to be changed. no matter what the scale says. This is hard for many of us. Put conditions on loving yourself and your weight will be a Yo Yo over time. 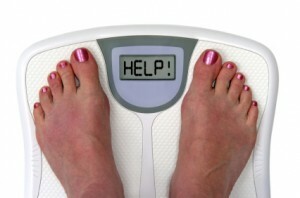 When you come to love yourself as you are now, the food and the weight lose their emotional attachment. What you eat and what you weigh become choices driven by healthy, happy thoughts and feelings. Yo Yo Dieting is associated with emotional eating, or comfort eating. This happens when you’re not eating for hunger, or to fulfill physical needs, but to FEEL better. Ask yourself why you need to feel comforted by food? I’ve heard countless stories of people reaching their goal weight and then gaining it back when they realize (mostly subconsciously) that life isn’t suddenly perfect, and they aren’t suddenly as happy as they thought they would be. This feels bad. Feeling bad and thinking bad go hand-in-hand, and this is a set up for self-sabotaging eating behavior. Comfort eating often comes into play because most of us were never taught healthy coping skills for managing stressful/upsetting emotions. that are creating undesirable results. Cognitive Behavioral Therapy (CBT) is designed for this. CBT is a particular form of counseling that targets unhelpful thoughts. You learn to take control of negative body image and emotional eating by gaining understanding and control of your thoughts, beliefs, feelings, and the behaviors that follow. I’ve found CBT is incredibly effective for my clients, in combination with holistic solutions to managing difficult emotions and stressful situations. It was a joy to hear one of my clients say this the other day. She knows it’s because she now has her thoughts and feelings (about herself and about food) under control. She’s in charge now.